TB 02: INTRODUCTION VIDAL CISNEROS JR. - Vidal Cisneros Jr.
TB 02: INTRODUCTION VIDAL CISNEROS JR. 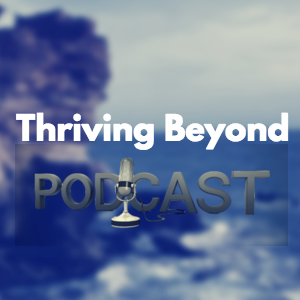 Welcome to Thriving Beyond. Created by “Dream chasers” & “Thrivers” for “Dream chasers” & “Thrivers.” Hosted by, Vidal Cisneros Jr. In part two of this introductory episode, Vidal shares his dream chasing journey and how his own story was featured in, “Chicken Soup for the Soul: Think Possible.” Vidal shares his experiences, insight, personal growth strategies, and resources to thrive beyond life’s storms. Because thriving beyond life’s worst setbacks leads to the greatest life comeback. Keep thriving!